Doc McStuffins Doctors Bag Set only $12.99 + FREE Pick Up! Home / Deals / Christmas / Kids / Doc McStuffins Doctors Bag Set only $12.99 + FREE Pick Up! 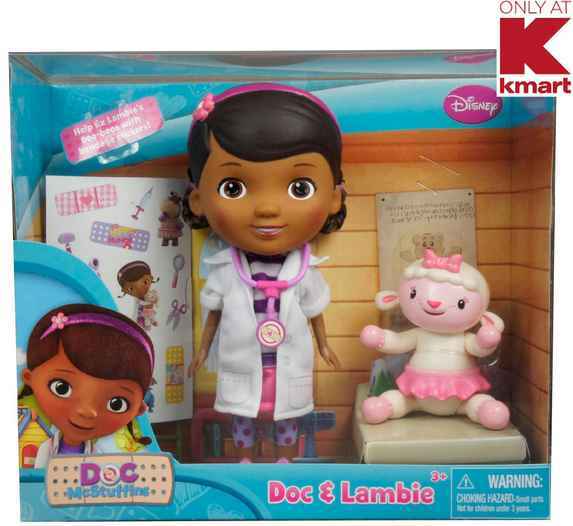 Here is a great deal on the Doc McStuffins Doctors Bag Set! You can get this on sale for $17.99 this week at Kmart + Use the Coupon Code IMAGINE to save an additional $5 off your purchase! That brings the price down to just $12.99 which is awesome! This Same Set is priced over $25 on Amazon right now!!! Amazon does have one of the best prices on the Doc McStuffins Check Up Table, this is marked down to just $64.77 right now which is one of the best prices I have seen on the table! This code isn’t working. It’s for Disney Jr. and this is a Disney toy. Tried it and it’s a no go. Plus it’s not on sale for 17.99 it’s 19.99.